I loved Star Wars: The Last Jedi. One of the things I liked best about it was that it was extremely difficult to predict where the movie was going. After Star Wars: The Force Awakens, it seemed like there were roads that The Last Jedi could take: Luke as Yoda training Rey; the revelation of Rey’s parents as to why she is so strong in the Force; or how Snoke became so important he leads the First Order and leads Kylo Ren away from the light. Disclosure: Some of the links in this blog post are affiliate links. If you click one and make a purchase, Media Medusa receives a small commission, at no extra cost to you. I think everyone would be comfortable saying, Star Wars: The Last Jedi was not interested in being Star Wars: The Empire Strikes Back and took us in a very, very different direction. And I thought that was a lot of fun. But I get it. A lot of people didn’t like it. And that’s fine. But what I don’t like is when people make these logical arguments about why they didn’t like it and those arguments don’t hold water. 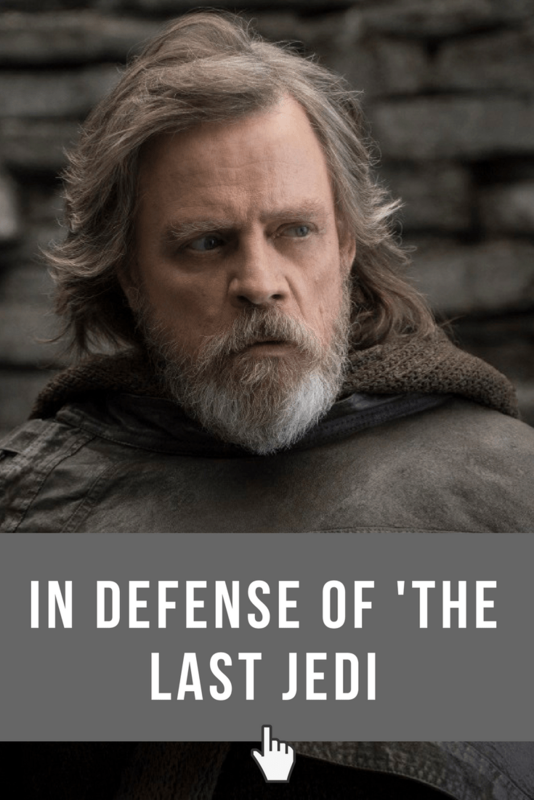 So allow me this brief rebuttal to some The Last Jedi issues I’ve been hearing and reading since seeing the film. 1. The idea of Luke astral projecting comes out of nowhere. For whatever reason, I have had a little time recently and I have been listening to some podcasts about The Last Jedi. For instance, I just listened to the excellent /Film Daily Podcast: The Problem of Last Jedi’s Ending. 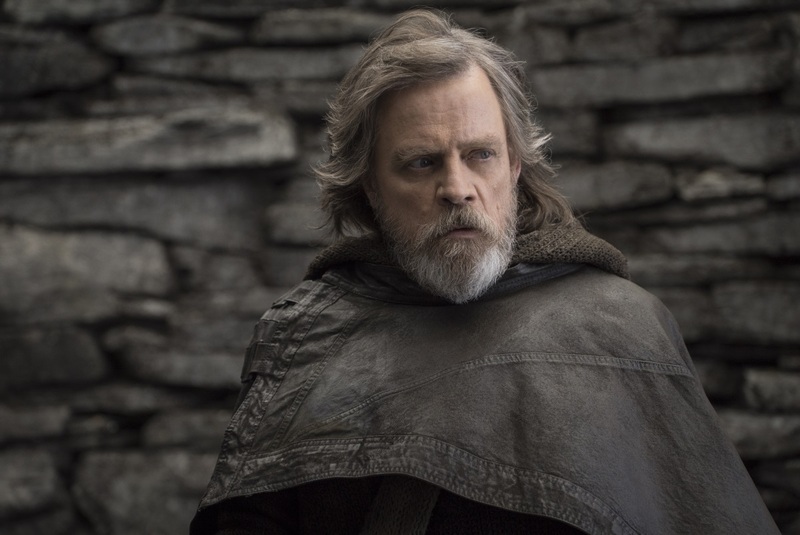 The biggest issue for them, and many others, seems to be that when Luke projects himself from Ahch-To to Crait that there was no precedence for that. It seems to come out of nowhere, and is a deus ex-machina. Luke Skywalker (Mark Hamill). Photo: John Wilson. ©2017 Lucasfilm Ltd. All Rights Reserved. Now, I have seen two fairly common explanations for Luke being able to seem like he was somewhere else. Firstly, evidently in some obscure Star Wars encyclopedia, it lists projection as one of the Jedi’s powers. So, okay, that tracks. But I’m a pretty big Star Wars fan and I didn’t know that. So I don’t think that the average filmgoer should have been expected to be familiar with that story. The other is that, a lot of times, the first time a character uses the force, they do things that we didn’t know they could do. For instance, I was very surprised as a 10-year-old when Luke was suddenly an acrobat on Tatooine! I might have even said, “Wow,” when he did his first flip. But I would argue that neither of those matter, and there is precedence in the movie. Rey and Kylo Ren were astral projecting through the whole story. They touched while in Force communication and, much more importantly, Luke caught them doing it and saw Kylo. Star Wars: The Last Jedi. Rey (Daisy Ridley). Photo: Industrial Light & Magic/Lucasfilm. ©2017 Lucasfilm Ltd. All Rights Reserved. Now of course, it was left a little vague whether or not anyone could have seen them, or only another Jedi, like Luke. But I think that the way the movie played out, it seems clear that anyone could see them. So I felt like, not only was there precedence, but there was precedence in the movie itself. That joke where Rey asks Kylo to put on a shirt was a clue! So, if you don’t like the movie fine. But don’t say it’s because Luke doing this amazing thing doesn’t make any sense. 2. Rey’s Force vision from The Force Awakens didn’t mean anything. In The Force Awakens, Rey is called to Luke’s light saber and is assaulted with a barrage of visions about Luke. The saber is, for the purposes of the movie, a Jedi relic, just like the Sith relic of Darth Vader’s melted helmet that Kylo has. But the visions that Rey sees were not just things that the light saber was there for. Luke lost that light saber when Darth Vader cut his hand off in The Empire Strikes Back. So, if Kylo was telling the truth about Rey’s parents being nobodies, then what was with all that? That vision really seemed to be a map of things to come. For me, one of the biggest weaknesses of the prequels is that I knew a lot of the stuff. I knew that Palpatine was the Emperor. I knew that Anakin was Obi-Wan’s apprentice and that Obi-Was was going to cut Anakin’s arms and legs off on Mustafar, then go into hiding on Tatoine and watch over Luke, while Leia was going to Alderaan to be given to Bail Organa. I think I got most of that from the first Star Wars novel, Splinter of the Mind’s Eye. Oh, sure, there was a lot of stuff that I didn’t know. And the trip was fun! But my point is that I’m pretty good at reading Star Wars movies because I have been doing that since I was seven. What Rian Johnson did in The Last Jedi was make a movie that didn’t follow George Lucas’s close read of the Hero’s Journey. I had, and still have, some theories on Rey. But what Johnson did was make it so that I can’t be sure what exactly is going on. Kylo could have been lying to Rey. Or he could have been telling the truth. If this was one of the first six movies, I would know. But I don’t know. And that makes it more fun. A lot of fans refer to this as the “Skywalker Saga,” even saying that this is the end of the Skywalker saga. And who knows why Rey has that Force vision in The Force Awakens? That could have been literally the moment when it awoke in her. But I wouldn’t be surprised if, in the ninth movie, we didn’t get a “what I told you was true, in a manner of speaking” moment, like when Obi-Wan fudges over not mentioning that Darth Vader was Luke’s dad (spoiler alert). And was there ever a more painful moment than finding out that Leia was Luke’s twin? Oh, sure, it was a surprise. But even to my 13-year-old self, it seemed a little, ahem, forced. But after all these years, I’ve come to accept it. I wrote a whole article on Media Medusa about how my biggest hope for these movies was for them to surprise me! And they are! 3. Leia uses the Force. I think that this is a really weird problem to have. Basically, Leia pushed herself, just a little, through space. Oh, sure, I don’t know exactly what the specs on humans are in the Star Wars universe. But I buy it that she could live as long as she did. And I think the amount of thrust required to move someone in space is basically slightly above zero since there is no gravity in space. It’s not like that moment made her a Jedi master or anything. I haven’t gotten to a second watch of that movie yet, but I do want to know how they open that door to let her back in without all of them getting sucked out into the endless vacuum of space. My only hope for the third movie of this trilogy is that it avoids fan service and gives us another great Star Wars movie that isn’t a rehash of what has already been. No problem with those three points. Personally did not like the Mary poppins way Leia used the force thought that was pretty stupid. Other than that your points were not what was wrong with the last Jedi. The problems lie more in the overall tone, the man hating emasculating of any male characters that took place. Star Wars never had an issue with strong females. Leia is the perfect example, to say she was not a strong females would be absolutely ridicules because she was very strong. So there was no need for the incessant putting down of the male characters that took place. Having a strong females does not mean emasculating all the men. They can both be strong, for example I the original movies. Leia was strong and so were Luke and Han, Mon Mothma, although small in her role, when she showed up and spoke everyone listened, um that would be a strong woman. Now looking at the purple hair chick, who was supposed to be a great admiral. No good leader would keep their master plan such a secret, if she would have just told Poe what was going on then the whole stupid mutiny would not have happened. Then we wouldn’t have had the stupid Canto Bright arc. While the planet looked good, that was it the whole anti-capitalism push was ridicules. STOP MAKING STAR WARS ABOUT STUPID AGENDAS! Disney really needs to take a step back and make Star Wars Great again. I feel kinda compelled to reply since I’m picking this movie apart in terms of storytelling. Showing those visions were clear intentions of the writer to get us hooked to a mystery (which is Abrams’s forte). A mystery that was bound to have some sort of payoff if Abrams made Episode 8. Now I don’t know if you are aware of what goes on behind the scenes, but Rian Johnson was given a clean slate to work with. He didn’t follow up on a lot of plot lines, in fact, he downright cut them off. That’s where the problem is. There are good set-ups, but extremely lackluster payoffs. They are unexpected, sure, but not satisfying. Also, the thing about Obi-Wan not telling Luke about his dad. This is only because during the production of Episode IV it was not yet established that Vader was Luke’s father. That idea came in later, the dialogue worked its way around that quite cleverly though. I have to give them credit for that. I can write an entire essay about this movie at this point, thoroughly explaining why it fails in all sorts of storytelling elements. But I’ll leave at these two points. I personally like the movies, by no means are they perfect. I think a lot of the problem now days is that with the internet social media, blogs and various other outlets people feel they have a say in everything. With all the theories and fan fic out there now if it doesn’t go exactly how they think it should they get all mad. I’ve seen so many comments that say just that pretty much. And it’s not just Star Wars it’s pretty much anything, cough DC movies which I like as well. I’m simple in my views, I will like what I like and that’s my right just as it’s anyone’s right to not like a movie but some people are just going way overboard now days. Especially some of the hate comments directed at some of the actors that’s the thing that bothers me the most. I mean at least people are trying to make the movies and pretty much every person would have a different idea of what the perfect movie is.